Terminally ill man wants court nod to die – Royal Times of Nigeria. 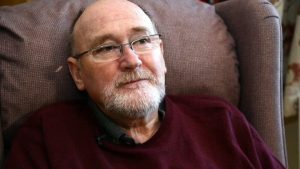 A terminally ill man in the UK has begun a legal battle to be allowed to die while he is still in control of his mind and can say goodbye. In a case filed at the British High Court, Noel Conway is seeking to be assisted in dying, a right which the british parliament and Supreme VCourt has rejected many times. Reports say that Conway is too weak to take his own life which was why he sought assistance in doing so before he loses his mind and is trapped in his body. According to the BBC, Conway 67 has motor neurone disease and wants a doctor to be allowed to prescribe a lethal dose when his health deteriorates further. According to existing laws, any doctor who helps him to die will face a jail term of up to 14 years. Mr Conway is too weak to come to court from his home but his lawyers say he wants the right to a peaceful and dignified death while he is still able to make the decision.